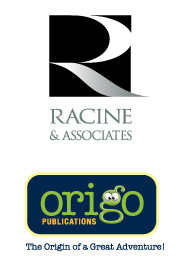 Racine and Associates Inc. is a leading Canadian communication and design firm based in Sherbrooke, Quebec. To define the values related to Cosmo’s name and to impart to it all its range and depth, we have created Origo Publications. Since 2006, this publishing house has produced the Cosmo books, a collection of playful, entertaining and enriching books ­that artfully juggle humour, metaphors and good values concerning our planet. Cosmo gets right to the heart of the matter and into the hearts of children and their families. His name is synonymous with fun and responsibility.